How to be Both a Full-time Student and a Part-time Worker? There are so many ways to earn money as a student. But what if you want to combine studying and working to get more than just some pocket money? Let’s take a look at some ideas and tips we have to help you succeed in both studying and working. We are ready to show you how to cope with the obstacles on your way to combining these two vital activities. So keep going with us to triumph. The critical issue is where to get time to work at least several days a week while studying if the latter almost takes up your whole timetable? One good way is to think of the value of each subject you study and find out what is the most insignificant one you may skip. Of course, every lecturer believes his or her subject to be a must, but it is possible to free yourself from visiting some of them and devote this time to gaining valuable working experience. If this is not a solution, then try at least to reduce your engagement with this or that subject to minimum and think of some additional ways to be ready with your home assignment, if any. If there are many important subjects you have to learn and cannot avoid in order not to fail, take every free minute as a precious moment to read something. For instance, on your way to college or work carry the stuff for studying to be able to use it when possible, even at your work or while having your meal. 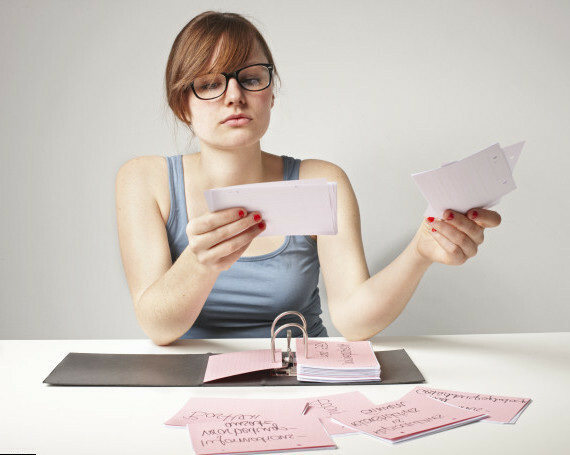 Flash cards are the perfect study material to take with you. Otherwise, there are many other ways to cope with it: ask your friend, class- or roommate to help you with your homework for a humble reward. Having nobody around, one may apply for professional help of different custom services. Of course, it needs some money expenses, but this is an alternative. It is of great importance to start considering every single minute as an opportunity to do something useful for yourself and your self-improvement. It is recommended that you be a self-organized person when you start working. Use a notebook to plan your time and the tasks you have to accomplish every day. There are also tons of apps and tools to choose from. Why? You cannot remember everything, so that is why you’d better write it down. When you see all your tasks together on one paper it is much easier to calculate how much time you have for each of them. See the apps that will help you to use your time wisely and download any you like to your mobile device – free Remember the milk (IOS), Any.Do (IOS/Android), RescueTime (IOS/Android/Desktop version). Thus you will learn where all your time goes and how to rescue it. No one will argue that your motivation serves as your daily driving wheel. Think of the things that motivate you to get out of bed every morning, give you energy and desire to do necessities – study and work. Money? Yeah, it is probably a crucial reason why you decided to start working. But is the only one? Think of a goal you want to reach or a thing you want to buy. As they say, happy is not the one who has money, but the one who converts them into useful things. Do not give up your rest. Take reposes to renew your energy and strength for doing your activities in the best way possible. Of course, it goes without saying that it is very important to have enough sleep, go out and spend some time with friends or do something that makes you relax. You are the one to know what works best for you. So, are you ready to sacrifice something you got accustomed to for achieving something new? If so, then we are wishing you good luck in all your undertakings.